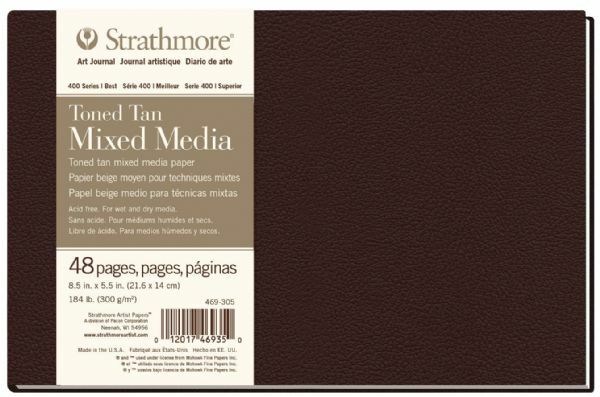 Strathmore HB Toned Mixed Media Tan Journal 8.5" X 5.5"
A heavyweight paper intended for use with wet and dry media. * This mid-tone paper has been created specifically to work well with light and dark media. * Hardbound Art Journals have a lightly-textured matte cover in dark chocolate brown and feature durable Smyth-sewn binding allowing pages to lay flatter. 8.75" x 5.75" x 0.75"